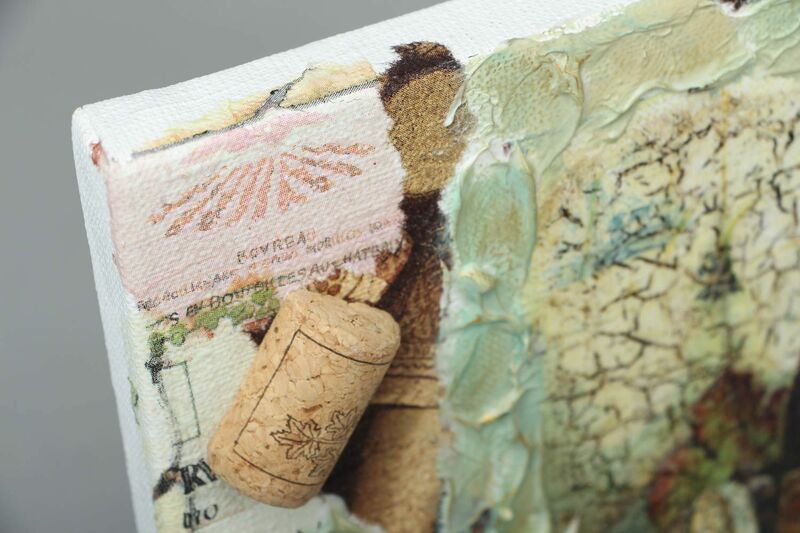 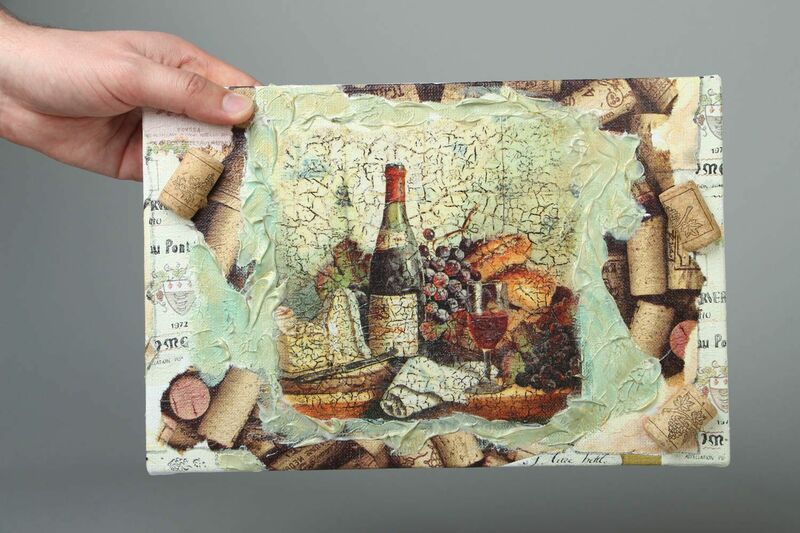 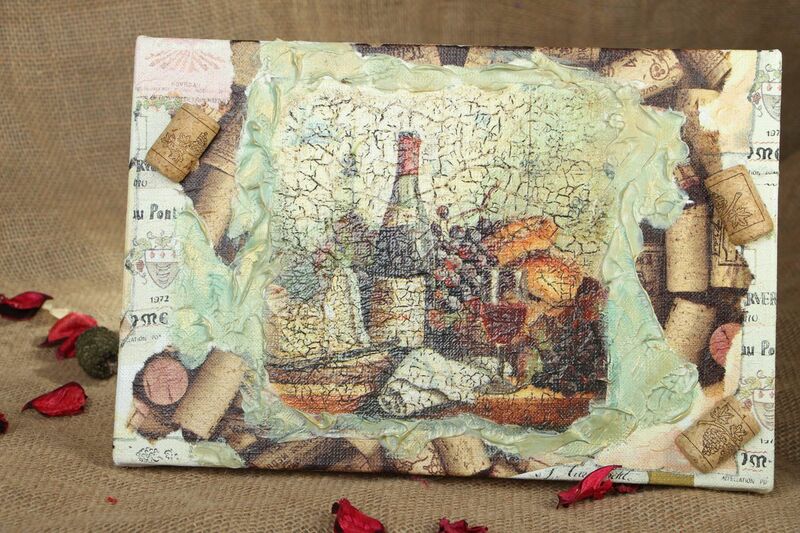 This wall panel is made using decoupage technique, decorated with the use of texture paste and wine corks and coated with craquelure varnish. 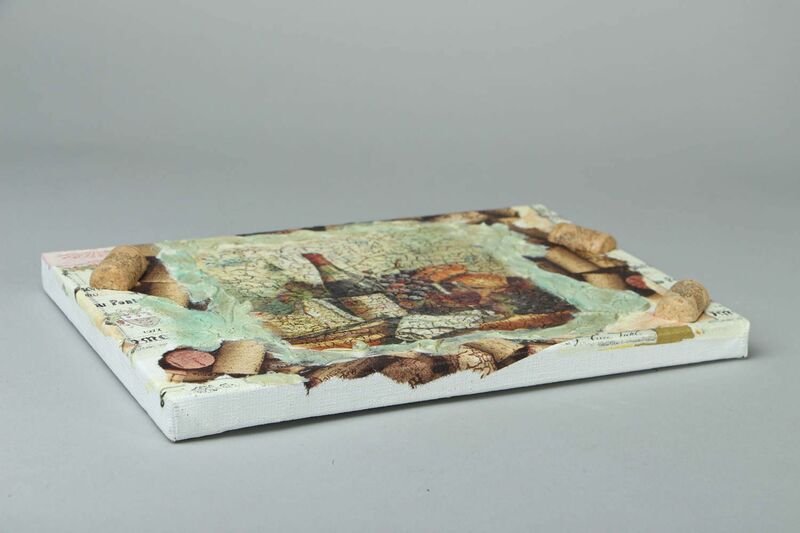 The item is made on the basis of a canvas. 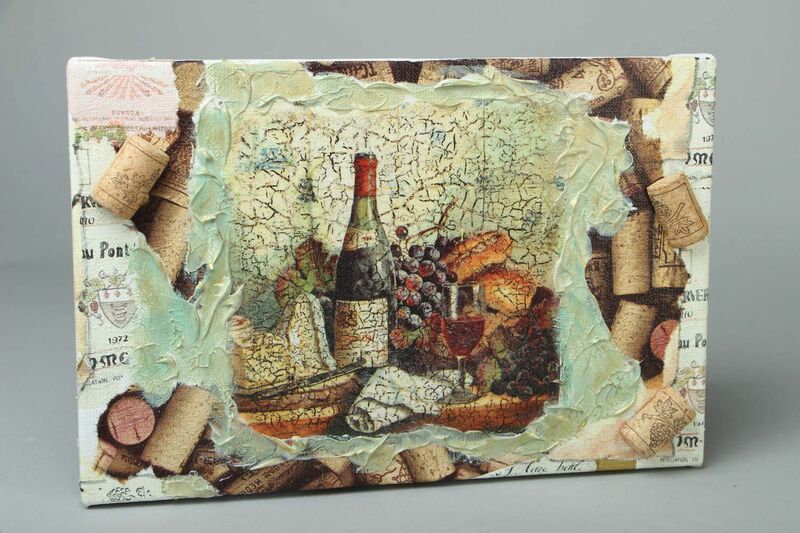 If you are a great connoisseur of wine, you will definitely appreciate this handmade wall panel as a decorative element for your house.